Yamatoku has a lot of great games on sale right now. 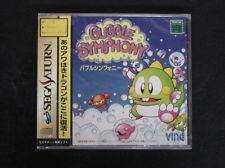 Bubble Symphony, aka Bubble bobble 2, is the conversion of the arcade game of the same name, and was published by Ving on the Sega Saturn. The game is not easy to get, but now Yamatoku has 2 of it, both of them sealed! So grab it now for your collection. 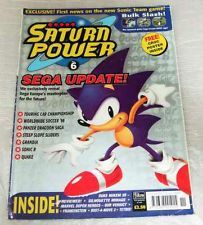 Issue 6 of the rare UK Magazine Saturn Pwoer, for a low starting price. Issue 5 is also on sale by the same seller. This is the only Skeleton model that was released outside Japan, and the last Brazilian model made by Tec Toy. Great for collector. One of the rare PAL game, not released in the US. This is the Spanish version. 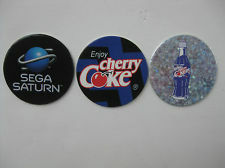 Coca Cola and Sega Saturn combined in an advertising campaign based on Pogs, made in 1995. 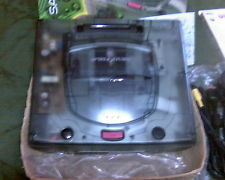 They are a piece of Sega Saturn History if you asked me. Cheap, will finish in some hours, so get a deal now. Not official, but this custom paint job is really well made. Just check the pictures and read the description to know more about it. 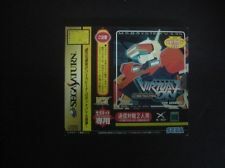 This is not the common release of Virtual-On for SegaNet but the more hard to find GS-7107 version with a cardboard sleeve and a Media Card for the Xband modem. Really interested auction for collector. 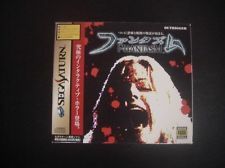 Phantasm (aka Phantasmagoria), an interactive movie, is the biggest Sega Saturn game. Biggest ? Yes, in term of how many cds it uses: 8 in total! The game itslef is not so common. Yamatoku, the seller, has 2 on sale right now. 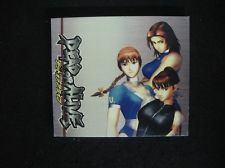 For collector, Dead or Alive Japanese release with its promotional sleeve. 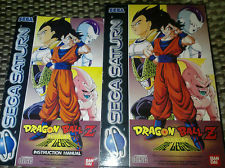 This is not the limited edition which is more common, this is the normal edition with its rare promo sleeve. 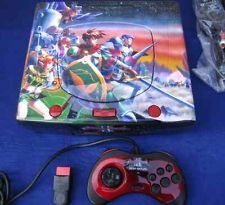 A really great lot with a White Japanese Sega Saturn, boxed, with 83 games including sol divide, layer section, Thunder Storm + Road Blaster and many more.